We pride ourselves at the Children’s Dental Health Project on providing forward-thinking concepts and policy solutions to address the startling disparities in oral health among children. Even with that mission in mind, sometimes we get ideologically boxed in by the traditions and beliefs within the dental care system that make it difficult to make changes to improve the oral health of vulnerable children. However, this year has already been filled with a number of presentations and documents that help ground our strategies to address children’s oral health within a larger context of reducing poverty for the next generation. Just last month was one of those pieces — the American Academy of Pediatrics (AAP) released a statement on poverty and child health. While the AAP's statement didn’t get a lot of headlines, it was a startling reminder about the children we are trying to reach. Specifically, it declared that the root cause of inequities in child well-being is poverty. Their statement reminded us that nearly half of all children in the U.S. live in poverty or low-income households; that poverty is concentrated in non-white families and communities; and that young children are more likely to be in poverty than older children. Research shows the link between poverty and poor health. At the intersection of these statistics are the children at greatest risk for tooth decay. However, ignoring poverty and focusing solely on a tooth is unlikely to result in better oral health. We are encouraged by the AAP statement which supports pediatricians (and, we would argue, any oral health professional) to use a brief written or verbal screener to ask family members whether their basic needs (food, housing, heat, etc.) are being met. 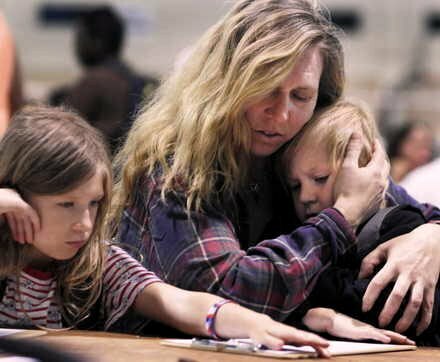 As the statement explains, “Screening for basic needs can help uncover not only obvious but also less apparent economic difficulties experienced by families.” The AAP also grounds their public policies and community practice recommendations on the research and evaluations of government programs outlined in the statement to address child poverty as a way to achieve better health outcomes. Screening for basic needs can help uncover not only obvious but also less apparent economic difficulties experienced by families. Days after the AAP statement was released, it was further put in context by a statement by Cecilia Muñoz, the Director of the White House Domestic Policy Council, who said that “nearly 1 in 3 families struggle to afford diapers for their babies.” She added that for families in the bottom 20% of household income, the cost of diapers consumes 14% of their income — an average of $936 per child each year. Let’s face it: families that struggle to pay for diapers are likely to struggle to keep toothpaste and toothbrushes consistently available for brushing. It may not be that they don’t value their oral health; instead, their daily challenges may be dictating their priorities. CDHP grapples with how to support policies that recognize the realities of daily trials of families in poverty, but we maintain that a caries-free childhood is within reach. The statistics cited earlier are only a small sampling of evidence that our nation is unlikely to make major progress in reducing health disparities until we all do more to reduce poverty itself. CDHP embraces this role. We will continue to work with our partners and look to expand our partnerships to better integrate prevention and management of tooth decay into initiatives that have a broader goal but also hold the potential to eliminate the #1 chronic condition of childhood and one stressor in the life of families.